For those needing professional assistance to handle their finances, hiring a professional tax accountant is a good choice. Tax accountants are the financial experts who understand all the government rules and regulations that determine the amount of money owed to federal, state or local agencies. 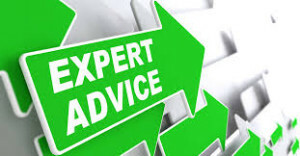 Not only can these professionals find the appropriate ways to save money on taxes owed, but they can also advise clients about managing their assets to minimize tax penalties, inform them of changes in tax laws, and assist them in any legal disputes or audits that arise. For potential clients, choosing the right tax professional means understanding the training, credentials and specializations that tax accountants may possess. Years ago, tax agencies employed accountants with general bookkeeping skills and an associate’s degree from a business college to do seasonal work at income tax time. With the increased complexity of tax laws across all levels of government, today’s professionals need at least a bachelor’s in some area of finance and business. Typically, this is a general accounting degree with studies focused on: financial planning, taxation principles, auditing, cost and tax accounting, and tax laws at federal, state and local levels. Additionally, some financial institutions and government agencies prefer a tax accountant to hold a master’s degree in specialized tax areas combined with job experience. Certified Public Account (CPA): A CPA is licensed at the state level to work with tax documents and file paperwork with the U.S. Securities and Exchange Commission. CPA candidates must complete approximately 30 hours of coursework above the level of their bachelor’s degree. Many undergraduate programs now include this training in their curricula so that students can take the rigorous CPA exam upon graduation. Enrolled Agent (EA): While a CPA is licensed at the state level, an EA has passed certification requirements to be licensed by the federal government. An EA specializes in taxation and has the authorization to represent clients in IRS proceedings. To earn an EA certification, candidates must study to pass a comprehensive tax law exam or have worked for the IRS for a minimum of five years interpreting and applying tax codes. Comparing these credentials, CPA certification requires more comprehensive preparation. A CPA usually deals with financial planning issues and is competent to handle most general income tax preparations and filings. On the other hand, an EA has more qualified experience with IRS legalities and procedures, especially when dealing with audits. An EA is often employed by businesses to handle complicated tax situations. Finally, keep in mind that to combat the complexity of tax laws, tax accountants specialize their practices to become experts in certain areas. For example, businesses will consult with tax accountants who understand their specific financial management needs, such as contract law, wages and compensation practices, income reporting, inventory distribution or asset liabilities. With the right type of certified tax accountant, businesses and people can be assured of receiving the appropriate expert advice required to protect their financial interests.